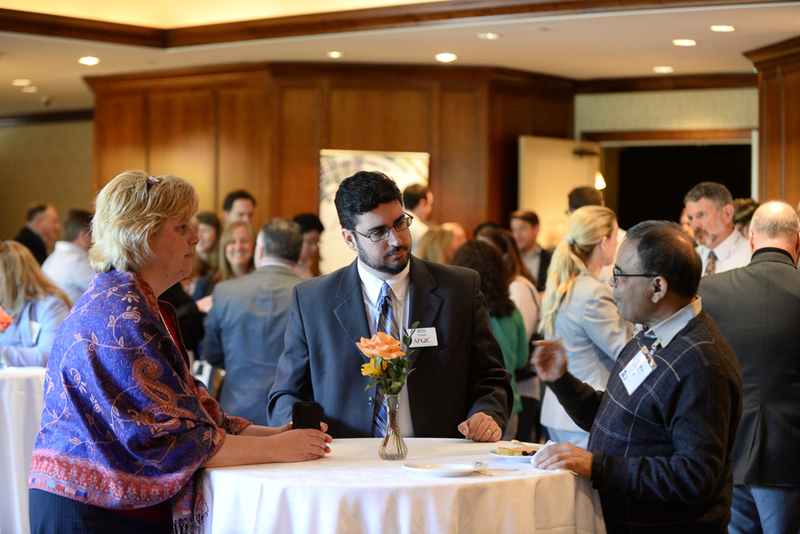 In 1995, a gallon of gas was $1.09, a postage stamp was 32 cents, the average cost of a new car was $15,500, and APQC held its very first Knowledge Symposium. 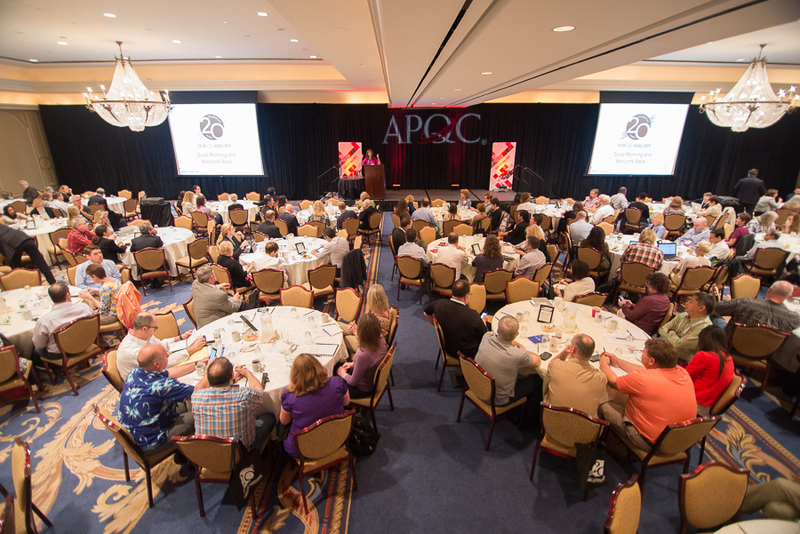 The price of gas, a postage stamp, and a new car might have gone up, but 20 years later APQC's KM conference is still the place to be for sharing best practices around how to leverage the organizations' largest asset - knowledge. 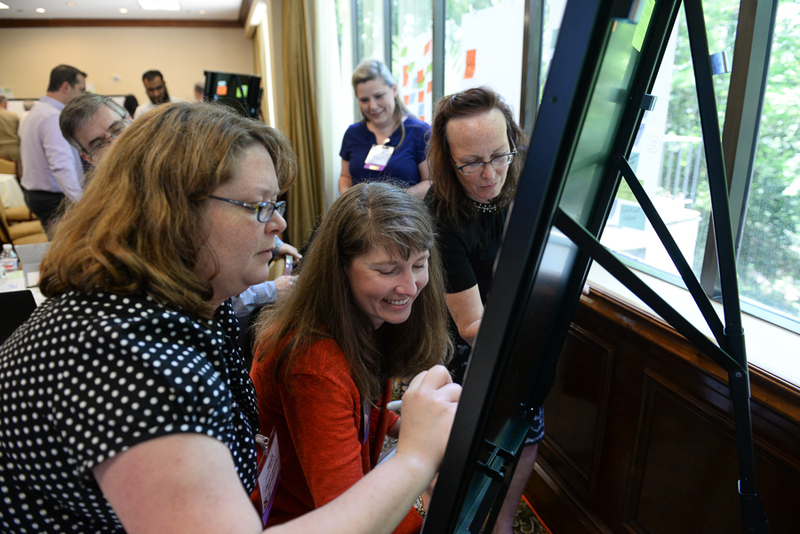 The conference week kicked off with three full days of workshops. 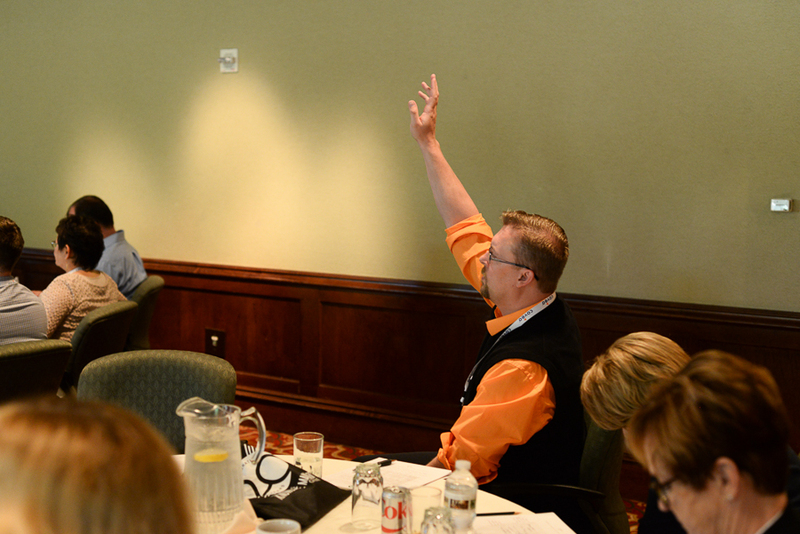 Attendees could choose from six different courses that covered a mix of KM fundamentals and advanced concepts. 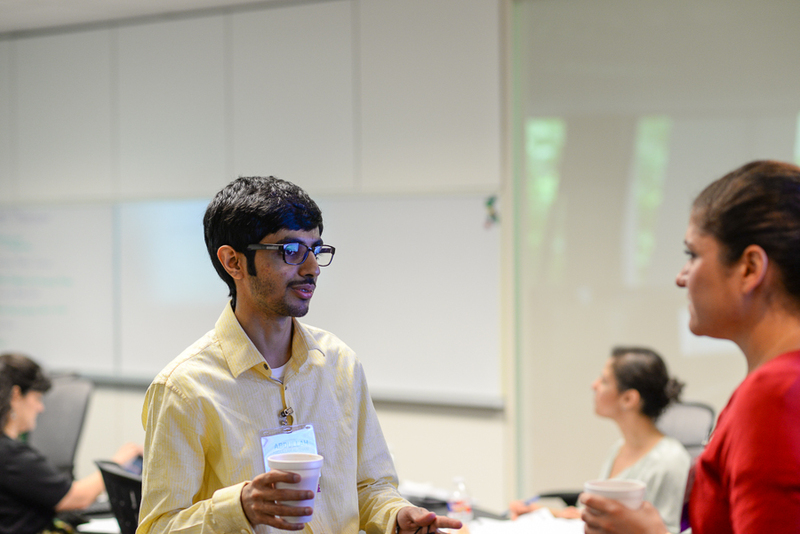 Whether you wanted to learn the basics or dig deeper with new courses like "Design Thinker: Experience Innovation" or "Knowledge Management Influence Skills," we had something for everyone. 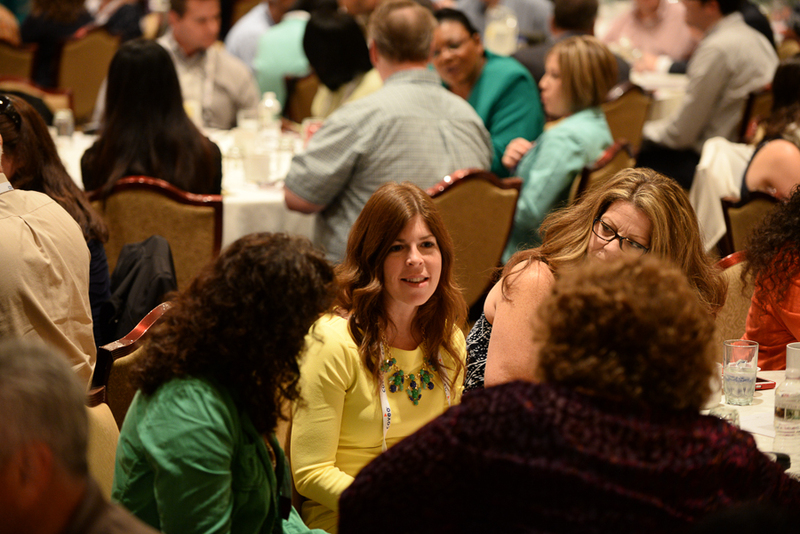 On the first day of the conference, Cindy Hubert, APQC's executive director of client solutions, reminded us that the same things that made KM relevant back then, are the same things that make it relevant now. 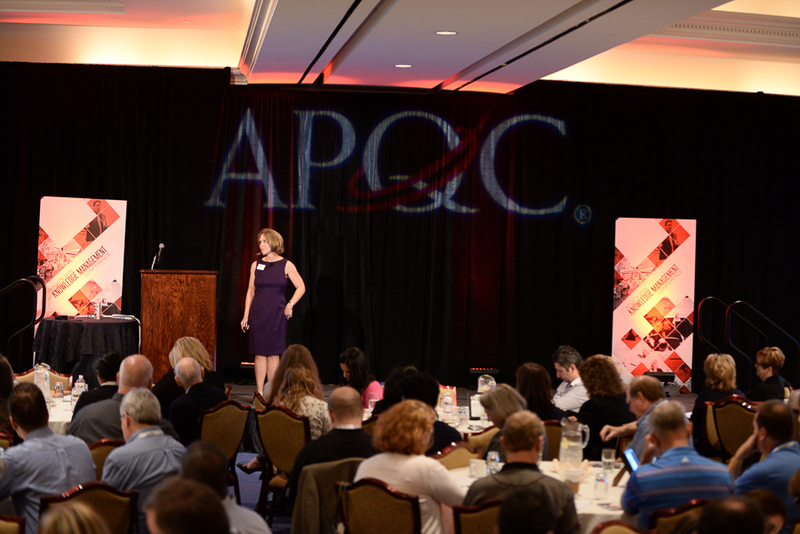 Cindy then handed the conference over to APQC’s CEO, Dr. Carla O’Dell to deliver a keynote presentation focused on the relationship between KM and employee learning and development and how both can help organizations overcome the challenges of today’s fast-paced business environment. 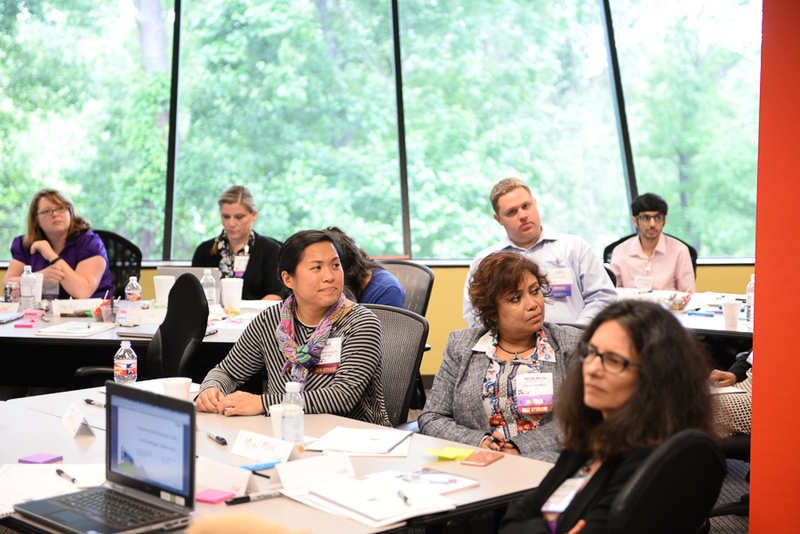 Carla started thinking seriously about this topic when conducting interviews for APQC’s How Smart Leaders Leverage Their Experts research in 2014. 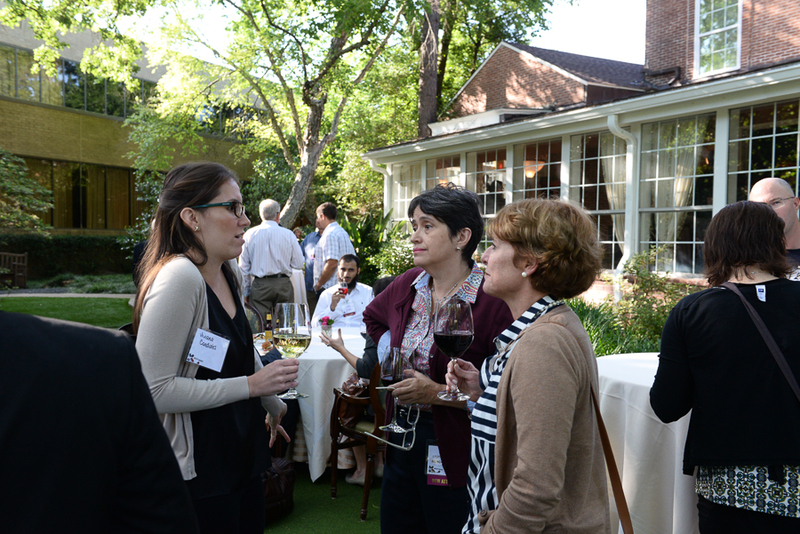 Many of the KM and business leaders she talked to were deeply concerned about current and potential future expertise shortages in their organizations. Whereas some industries were most worried about expertise losses due to impending retirements, others emphasized the impact of voluntary and involuntary attrition, internal transfers, reorganizations, and growth strategies requiring expertise in new fields or locations. But regardless of the underlying causes, interviewees’ concerns cited a common theme: When individual workers possess critical knowledge that does not enter the collective consciousness of the organization—if the organization does not “learn” it—then the knowledge may be lost when that employee retires, leaves, or moves to a different role. According to Carla, the best way for organizations to avoid expertise shortages and ensure business continuity is to enable effective learning, not just for individual employees but also at the group and enterprise level. And KM tools and approaches are an essential part of how organizations capture knowledge and ensure it is institutionalized and broadly retained. 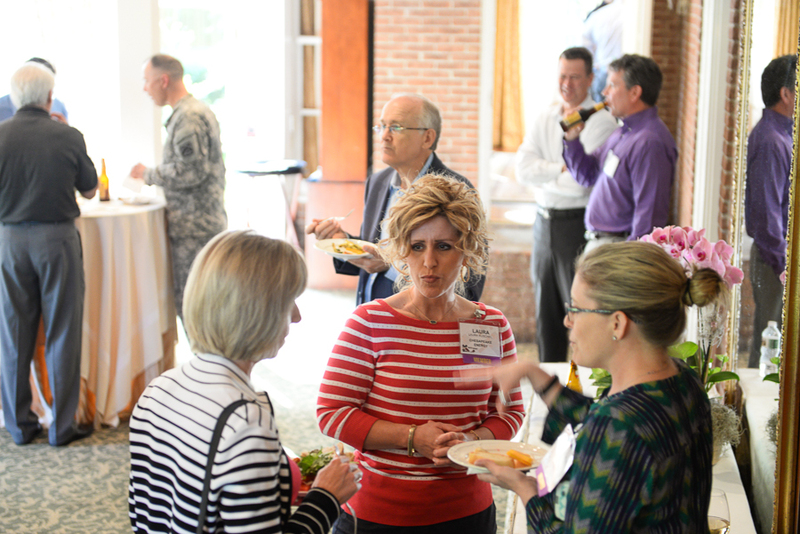 As a discipline, KM is “in the business of helping organizations remember,” Carla said. “We need to be the anecdote to corporate amnesia.” Download a copy of Carla's slides (APQC members only) and the overview of her presentation. 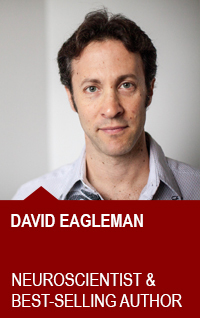 Following her keynote, Dr. David Eagleman, author and Baylor University professor, delivered a keynote presentation to explain why a lack of knowledge management led to the collapse of civilizations throughout history. Eagleman used this historical lens to extrapolate key lessons learned about the importance of KM for today’s organizations. He offered two lessons from his work as a neuroscientist. First, we don’t always know what we know. A person may perform a task perfectly and yet be totally unable to explain how they do it. Secondly, from the point of the view of the brain, knowledge is never singular. The brain manages multiple “knowledges” when faced with any problem or decision. These insights about the nature of human knowledge can be applied to organizational knowledge. Those that hold critical knowledge in the organization may not know what they know and organizational knowledge is also rarely singular. 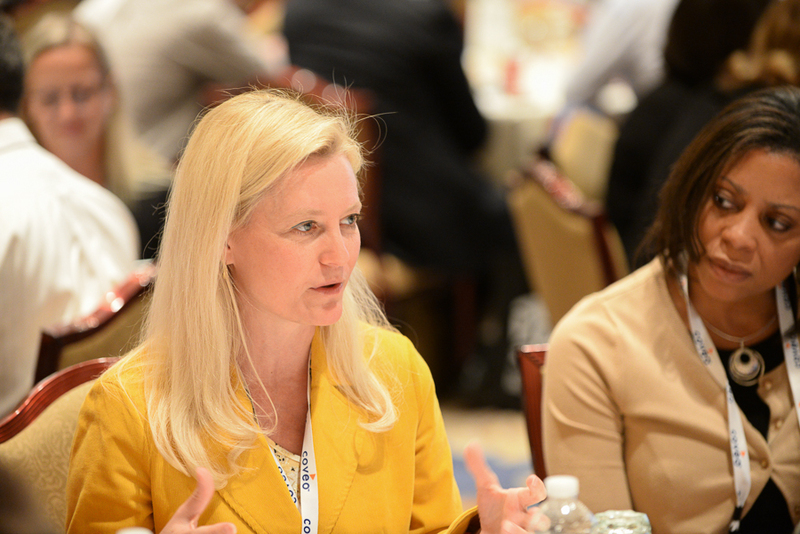 For both of these reasons, it’s important for organizations to encourage knowledge-sharing connections and conversations. See a full overiview of David's presentation. 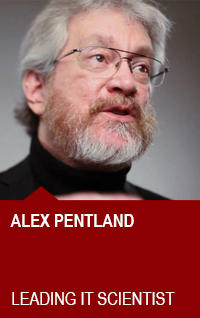 Dr. Alex “Sandy” Pentland, a leading IT scientist and author, kicked off day two with his keynote discussing social physics, a new scientific field enabled by Big Data, and its implications for organizations. Pentland’s key theme was that patterns of communication are a major determinant of performance. Pentland shared several examples of social physics in action. By analyzing trends in the tone of voice and the timing of speech, he and his team were able to predict how well individuals would perform in salary negotiations, which speed daters would exchange contact information, and which business pitches would be the most well-received. Social physics also offers insight into how people work together. At the end of his presentation, Pentland posted a question: How do we improve patterns of communications within organizations? According to Pentland, organizations should focus on enabling peer-to-peer communication. Most firms communicate from the top down, but peer-to-peer conversations among colleagues can have a larger effect on how employees perform. He also recommended that organizations offer rewards and recognition to teams, small groups, or even cubicle-mates rather than to individual employees. Pentland, who called this approach “relationship incentives,” has found that it’s often much more effective. Get the full overview of Alex's presentation. And last but not least, Dr. Andy Hines, assistant professor and program coordinator at the University of Houston’s Graduate Program in Foresight, delivered an interactive keynote to wrap up the morning of day two. He presented strategies for identifying issues that might affect the future of organizations and KM programs, and discussed six “potential surprises” that he expects to affect organizations soon. Hines said that there’s no excuse for being surprised. Leaders can reduce the likelihood of being surprised by constantly scanning the horizon for developments, ideas, and trends that might affect the future of their organization. Read the full overiew of Andy's presentation and download his slides. The groups were given the freedom to collaborate in their own ways, but were encouraged to talk about what they had learned over the two days and how they would apply these ideas when they got back to their own organizations. 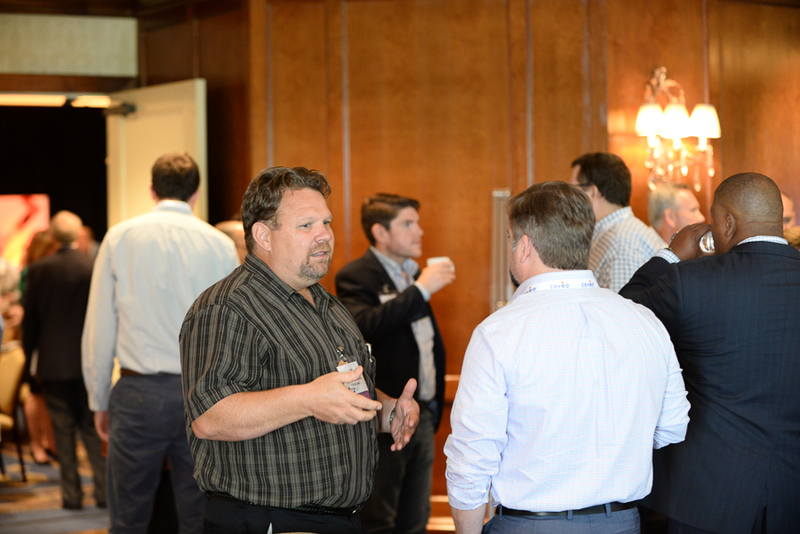 In addition to these keynote and general sessions, 20 breakout sessions were held throughout the conference. Practitioners shared case studies detailing their successes and lessons learned with our audience. 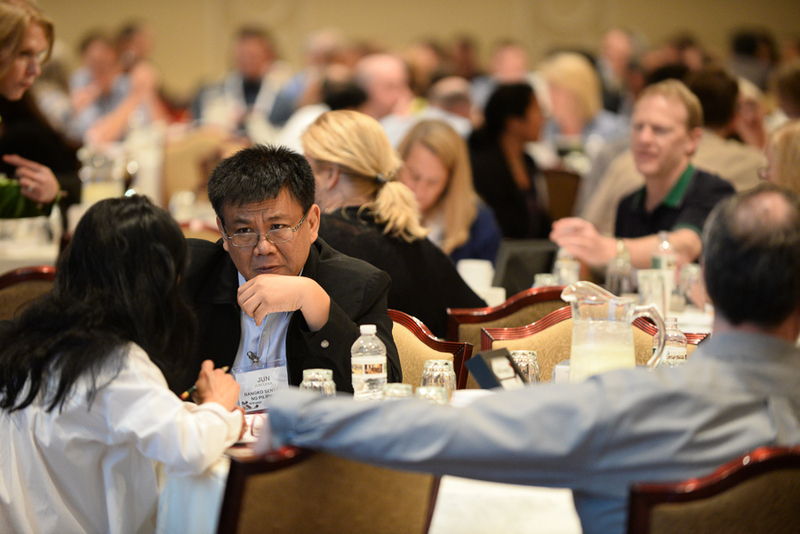 Learn more about the leading process improvement initiatives at Cisco Systems, Inc., ConocoPhillips, Liberty Mutual, Schneider Electric, and many others, by checking out the conference overviews and full presentations in the APQC Knowledge Base. A special thanks to our exclusive 2015 Knowledge Management Conference sponsor! This was Coveo second time sponsoring the conference and their contribution has been invaluable. 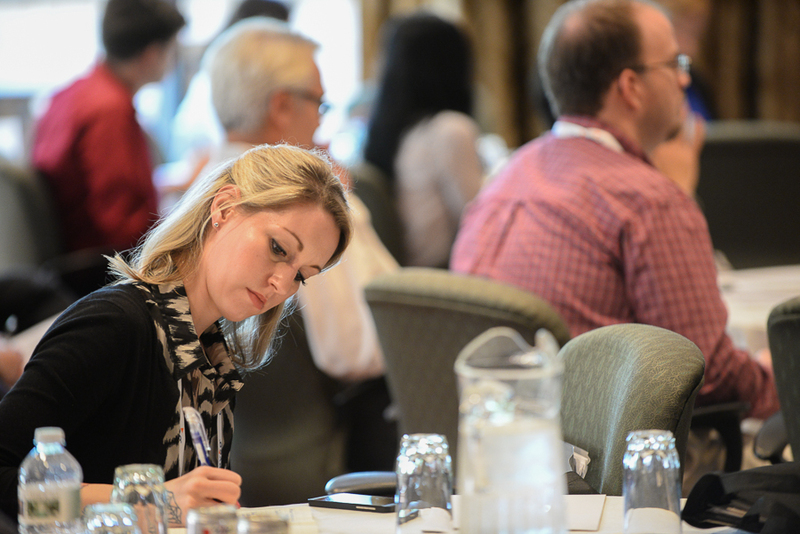 You can view the overview of their KM Conference breakout session here. Recognized as the Most Visionary Leader in Enterprise Search by Gartner, Coveo helps organizations upskill for growth by ensuring that every employee, support agent, customer, and website visitor easily finds better and more relevant information and people—enhancing their skills for the task at hand. Discover how Coveo can transform your business at www.coveo.com. Another special thanks goes to our 2015 KM Conference Steering Committee. The following individuals helped drive the agenda and content of this event. Congratulations to all of our conference prize winners. Thank you for participating! This year’s iPad content was sponsored by Coveo. Thank you Karen Doty Virginia Department of Taxation for attending and we hope you are enjoying your iPad! Suzan Pickels with ConocoPhillips and Jane Dysart with Dysart & Jones Associates both received $50 gift cards for their Tweets sent out during the conference. Congratulations ladies and keep Tweeting using #apqckmconf! Congratulations, Melissa Dahm with Rockwell Collins. You are the winner of our evaluations contest! Thank you for your evaluation submissions. 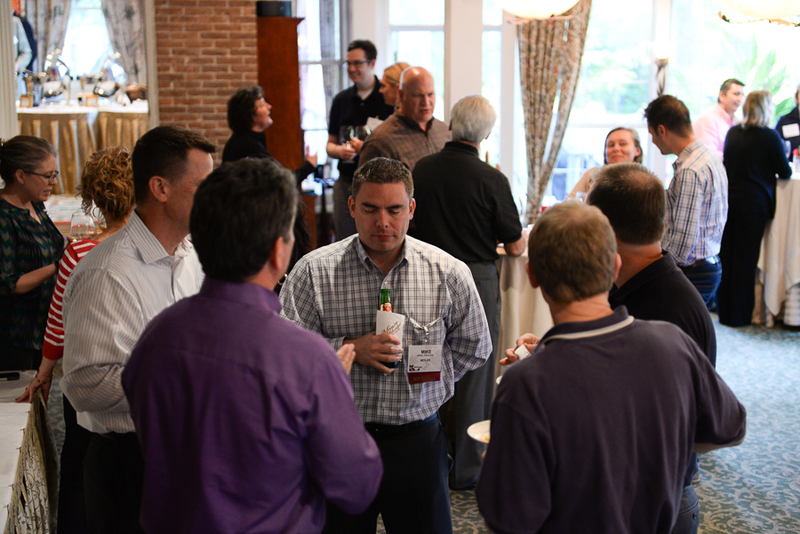 Here is just what some of our attendees had to say about the conference. "I liked the expertise sharing that went on CONSTANTLY! This conference fulfilled ALL of my expectations and MORE!" – Barbara van der Schalie, Leidos Biomedical Research, Inc.